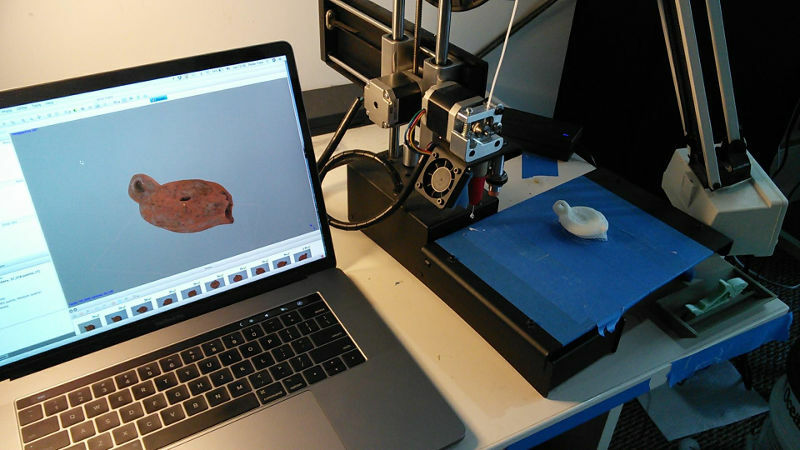 Image of a Roman lamp unearthed this summer in Italy created from photos & then 3D printed. Castlemakers offered our first class on photogrammetry, or using photographs to create 3D objects, in October. But the more interesting story to me was how we got there. It began just before our Intro to 3D Printing class last spring, when a couple of folks wanted to learn about 3D printing so they could hopefully print things from an archeological dig in Italy in the summer. While I had experimented some with earlier software, this was mostly new territory. 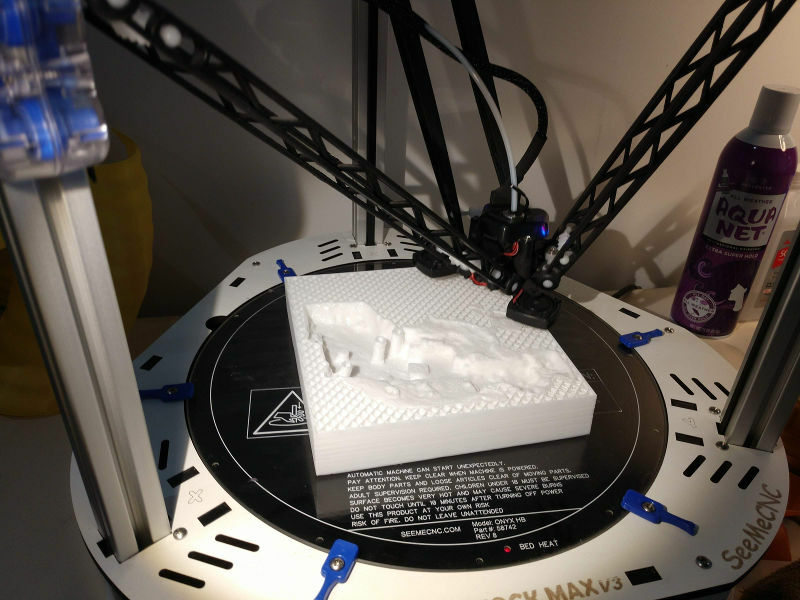 Italian dig site near Umbria being printed. Pillars are the flooring in a Roman bath house. But Rebecca, one of the students in the class, took it to another level. She was able to get a copy of a professional program, Agisoft, then take pictures at a Roman dig site in Italy this last summer. Using the program, she generated 3D images of artifacts they found and even took photos of the excavation at the site (a Roman bath house) which she was able to turn into a 3D image. When she got back in August, in a little over a week she was able to 3D print not only artifacts but also make a model of the dig site using the 3D printers at Castlemakers. As we prepared for the Castlemakers class to show others how to do it, we discovered what may be an even better solution – a program called 3D Zephyr. We decided to cover both, especially since 3D Zephyr has a way of extracting photos from video to make the 3D image – a pretty amazing feature! The experiments will continue with local landmarks and we’ll be doing the class again this spring.